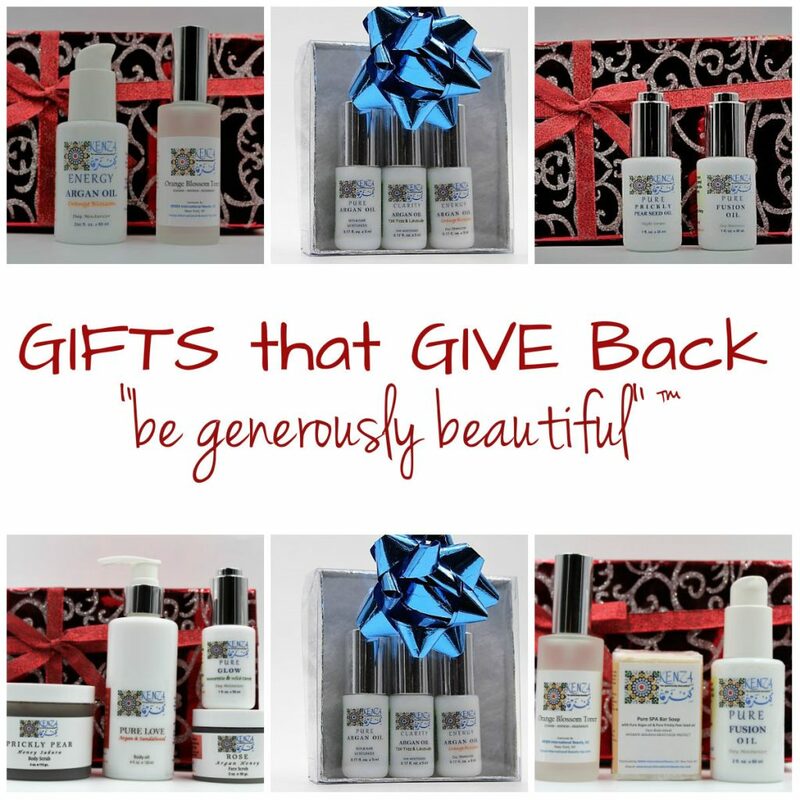 KENZA Gifts that Give Back are available now! We have created gifts sets at very special prices (birthday gifts, bridal shower, Valentine’s Day, Mother’s Day, Father’s Day….). Get a Free KENZA Moroccan Clutch (Black or White – $42 value) with purchase of $250 (while supplies last). Always free shipping on orders $50+. Remember that we also offer e-Gift Certificate that you can purchase online and we email it to the recipients. Share this email with your loved ones, friends and peers who need to add natural personal care products into their life. We are grateful for your love and support all these years. We wish to continue providing you the best products that you will share and gift to your loved ones. Make sure to check our SPECIALS section frequently for discounts, sales, and information. Are you following us on social media? Find us on Instagram and Facebook. This entry was posted in Pure Moroccan Beauty Oils and tagged ARGAN OIL, beauty gift, birthday gift, bridal shower, coupon code, eco friendly, free gift with purchase, free shipping, gift, gift certificate, gift idea, gifts, gifts for her, gifts for him, gifts guide, gifts that give back, hair-care, holiday gifts, KENZA "be generously beautiful", KENZA International Beauty, men grooming products, Mroccan oils, natural-beauty, organic sincare, personal care, philanthropy, PRICKLY PEAR SEED OIL, skincare, special offers, sustainable beauty. Bookmark the permalink.